The gas man came in to read the meter the other morning, an' he says to the Boss, "I see your competitor down the street has put out a new show case." An' the Boss says, "Yep, an' a nother of my competitors has jus' finished puttin' up a ten story building." An' the gas man, he says, "I diden know they wuz a photographic shop so big as that in town." An' the Boss says, "He aint a photographer - he runs a dry goods store." The Boss says the surest way to get your head bumped is to get to thinkin' that only the folks in your own line is your competitors. The Boss says if the other photographers in your town are doin' good work they are boostin' the game generally, an' if they don't do as good work as you do they are boostin' your game, but all the other people in town who have things to sell aint boostin' any part of your game, and that they are the ones for you to keep your eyes on. The Boss says that when mother comes down town Monday with a strangle hold on pa's pay envelope every store window in town is a tryin' to get her eye, an' that the paper of the evening before an' the morning paper has been givin' her tips jus' where to look, an' that you got to go some to get mother's eye glued on your show window and then into your studio in a loosenin' up frame of mind. The Boss says that the same reason that makes mother pry off an extra ten from pa's roll because three of the kids need new shoes, will lead her to have their pitchers taken - an' that is pride. She thinks that pa is jus' about the fines' lookin' man in the township - and the kids, well every ma's kids are the bes' lookin' to her - an' ma, when she's got her hair frizzed an' the rats in, aint no slouch herself - an' that if you can show her in your show case how other folks is havin' their pitchers took of their kids, an' that pa and ma has had some taken, why some of that pride that was strong for shoes is pretty apt to sorta totter towards pitchers. Ben Larrimer, Marion, Ind. 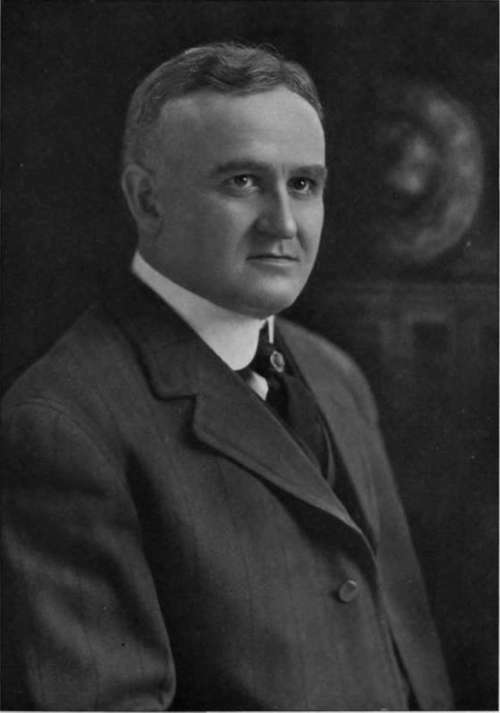 1st Vice Pres., P. A. of A. Why do the shop keepers dress up dummy kids an' dummy folks with all the lates' things in glad rags - to show em off, of course, but they use the dummies to show you jus' how slick your kids an' you would look dressed up in 'em. An' the shop keeper that gets there is the one that always has somethin' new to show 'em - if what you got in to-day don't make a hit with ma, she may fall for what you put in to-morrow. The Boss says fishin' for wimmen is a good deal like fishin' for black bass - you can never tell jus' what they are goin' to bite on, so you got to keep changin' your bait till you land 'em.